What a glorious mystery this life is. I’m consistently overwhelmed by our human capacity to cause such suffering for ourselves, each other, and the web of life that not only sustains us but is an inherent aspect of who and what we are. What paradoxes we are presented with as we do our best to discover who we are and our most creative response to the challenges we face. Life in a body on earth! I love it here. I love being alive. I’m totally attached to my body, my wife, our son, our land and Susannah’s ponies, and the blessings and harvest of more than three decades of work that I enjoy every day. What’s more, I intend to stay as attached as I can for as long as possible. And I love my work. I love meeting you all on my travels or online, and creating spaces for people to remember who and what they are. Retirement isn’t on my horizon. Re-firement is. Passion seems to be growing. Creativity begets creativity. And paradoxically, death seems closer every day. Maybe it’s because I just passed the 24th anniversary of my papa’s early death. He died at 56 and I will be 55 next month. How young that seems to me now. Maybe it’s the fact that Susannah and I will run our last ever Movement Medicine Apprenticeship later this year (it’s full already but there is an active waiting list). And for all those who are worried you’ve missed the boat, worry no more. 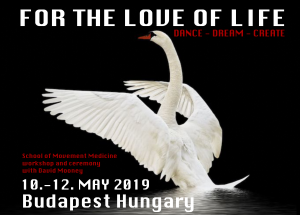 We are delighted to tell you the next Movement Medicine Apprenticeship after our last one will take place in 2020 run by David Mooney and Yasia Leiserach. More details will follow. I feel my heart is expanding and along with it, my capacity to feel and to love. And far from that being a pink spectacled romantic illusion, the further I go, the more I discover how much courage it takes to love. As attached as I am, death never misses an opportunity these days to remind me that though the life that lives this body may well go on forever, the body itself is a temporary form. 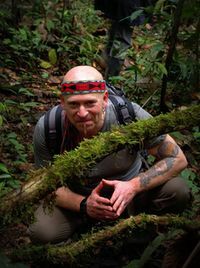 I remember being in an Achuar village called Wayusentsa in the Amazon. We’d been in ceremony with Don Rafael Taisch, a powerful Elder Shaman. I love his enigmatic, cheeky humour and I love his dedication to healing anyone who comes to him for help. I was outside in an open clearing. The sky was bright with stars. The night-time song of the forest was exquisite. My awareness was awash with the melodies, sights and sounds of the unbroken magnificence of spirit incarnate all around me, the life of the forest moving through my bones. I was insect and bird, reptile and feline. I was the darkness of the roots connected with the forest all around for hundreds of miles in all directions. I was life in a billion forms, and I was death too, crunching through bones and wrapping itself round the soft food of my body, squeezing the life out of it. A cathedral of life and death dancing, always dancing. I went beyond my edge and out into the infinite space inside me and all around. I say “I,” but “I” in the everyday sense was no longer present. In this condition, there is only what is happening. The tenderness and the ferocity entwined. The silence that is at the centre of all noise embraces everything. Melody and rhythm meld into the rapture of expanding and collapsing spheres. And right there, at the centre of it all, silent and waiting, forever present, patient and powerful beyond measure, that space and presence that has so many names. Here, the idea that my experience of this mystery could somehow be better or worse than yours is so far beyond ridiculous that it’s a profound shock when duality returns and I again become a unique and formed individual for this tiny moment in eternity called my life. Since I was struck by lightning, these kinds of experiences that used to fill my dreams as a child, have returned and deepened immeasurably. And it’s such a relief to me that as I grow older, I seem more capable of living with the paradoxes of life. All my teachers, and the experiences I have had under their guidance, helped me to fall in love with the incarnate mystery of the body-heart-mind working together. Through that, I fell in love with the forest, the untameable wildness of nature and the way that it can pour through us as creative sexual energy. The knowledge of the unbroken in me and in you and in everything is what gives me the strength to be with that which is broken in me and you and in our world. And if we are to evolve as a species beyond where we have got to, and not just disappear like some shooting star across the vast sky of time, we need to grow the emotional strength and maturity to be able to be with the pain that we all carry. We visit this pain in each other without censorship whenever we feel threatened beyond safety. We say we are defending ourselves, but the irresponsibility of maintaining our attachment to being the victim and ignoring the violence of our own stance is killing us. And worse than that, it’s killing the beauty and variety of life that we share this planet with. As attached as I am to my own form, I also accept death as my teacher. I prefer to do this now rather than to wait until the last minute and act surprised as death marches in with his ‘time’s up’ sign flashing neon in the darkness of the night. That’s why we work with death in the dance. And that’s why come May, I’ll be offering a burial ceremony again for our apprentices who have come to the place of wanting to enter into the deep dialogue with death that this ritual provides. And it’s why I thank my death every time I wake up in the morning and taste that sweet breath of life as a new day begins. And I love the paradox that with the new life of the spring, comes the time to service the strimmer and participate in this crazy dance of life and death called the garden. And the result? Life tastes both sweeter and sharper. I experience it more. It hurts more and it hurts less. It’s more precious and more ordinary. And whilst I can, I will do my best to dance and dance until the last sweet breath leaves my body and I fall back into the sky. OK dear ones, that’s it from me for now. Time to teach. Time to dance. Time to let this body-heart-mind out of its cage to play. See you on the road. 9 April: Vulnerability and Power in the Shaman’s World. Talk, Book Launch and Movement Medicine Journey with Ya’Acov. Budapest, Hungary. Celebrating the launch of Ya’Acov’s book ‘Jaguar in the Body, Butterfly in the Heart’, we come together to hear Ya’Acov speak about the book and the Shaman’s World. Because it is Movement Medicine, we won’t just sit and listen and talk, we will dance too, ending the evening with a Movement Medicine journey. 10–14 April: Phoenix Rising with Ya’Acov. Near Berlin, Germany. 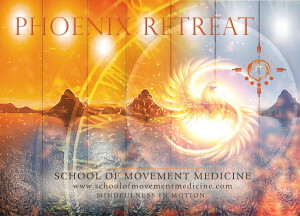 The central icon of Movement Medicine, the Phoenix, can assist us in rising above past wounds and stories that were holding us back into a much more empowered and real place where we chose to fully expand into all that we are, giving what we came here to give. With the power of our own choice and the support of the dance, the Phoenix and a strong Movement Medicine practice we can free ourselves, our life’s and our unconscious from outdated and limiting stories that influence our being and acting. 30 Apr–5 May: Phoenix Retreat with Ya’Acov. Taraska, Poland. This intensive clears the path to more self-awareness, becoming conscious of old stories that are unconsciously running your life. With powerful tools and support, the Phoenix Retreat assists in reclaiming lost parts of yourself, expanding more and more into the being you came here to be. This workshop is also one of the stepping stones towards the Apprenticeship with Movement Medicine. 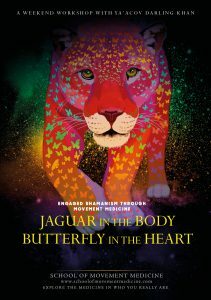 10–12 May: Jaguar in the Body, Butterfly in the Heart with Ya’Acov. Hamburg, Germany. With Move! Evening on 10th of May. Based on Ya’Acov’s recent book and on his own 30-year long initiation into being a shaman, this workshop is an invitation to review your life, to further discover who you are and what is yours to give. You will skilfully be guided to meeting that ‘Jaguar’ inside you that protects fiercely what it loves, and the ‘Butterfly’, that part which is vulnerable, magically beautiful, only coming out when it really is safe to be seen. 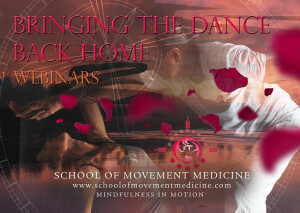 The workshop will explore the blend of these two parts and challenge our paradigm of separation. 30 May–1 June: En-Tranced. Walking Between the Worlds with Ya’Acov Darling Khan. Luzern, Switzerland. With Move! Day on 30th of May. This workshop with Ya’Acov is an invitation to connect inward and outward, to bridge worlds and realities and to question perception and stories. It’s also an invitation to get to know the part inside that knows how to stay connected to the sacredness of life and living, that part that knows about that particular and unique song you came here to be, sing and live. Learn about the archetype of the Shaman and connect with your part of that archetype for new perspective, edge-walking, fun and insight. 8–16 June: Initiation with Susannah and Ya’Acov. Rill Estate, Devon, UK. 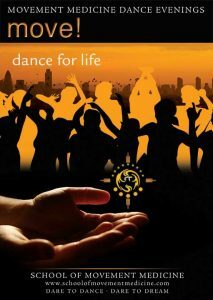 Initiation is an intensive 10-day retreat during which the dancers are invited and guided to embody and dance through the rich landscape of all nine life cycle from conception to death – including play, deep processes, and the support of the group and teachers. This workshop is an extraordinary, life-changing, colourful, profound and rewarding journey; and it is one of the prerequisites for the Apprenticeship Training.